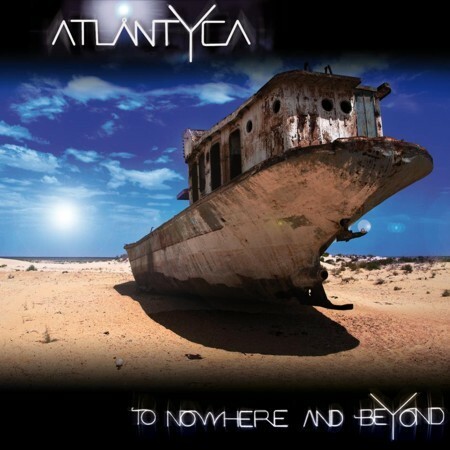 This is the debut from French prog metal band Atlantyca. Started by brothers Julien and Maxime Putigny, they’ve been joined by seasoned drummer Laurent Talso. They’ve come up with a surprisingly polished debut that should find international appeal. The polish is helped by a mastering job by Andy Vandette who has worked with Rush and Porcupine Tree. It’s a varied record, with some strong guitar work from Julien but what will create interest in the record is the high profile singers they’ve bagged to front the songs. Andy Kuntz (no jokes please) of Vanden Plas puts in a typically sturdy performance on ‘Standard Man’, a song that’s less heavy than his own band. Edu Falaschi of Angra is heavier on ‘Nowhere And Beyond’. Female leads are taken by Tara and Michelle (apparently, like Madonna, they have no need for surnames), which adds a further dimension to their sound. The next surprising inclusion is the ex-Quiet Riot, Rough Cutt belter Paul Shortino. His track ‘My Road’ has a different feel to the rest of the material, perhaps because it was written by Maxime rather than Julien who wrote the rest of the material. It’s a straighter rock ballad that Shortino sings with his usual blues-soaked class and it’s a song that would sit comfortably on one of his own records. All the different vocalists means however there’s a disjointed feel in places, and trying to define what really is Atlantyca’s signature sound is difficult. As a result, the record works best overall when David Steele handles the vocals. Less well known than the other singers Steele has been a session singer for Bon Jovi, Mötley Crüe, The Cult and Def Leppard. He takes the lead on three of the nine tracks and this gives a more cohesive feel to parts of the record. He has a fine rock voice that copes with the prog metal material well. For the next record they would be well advised to choose just one singer, perhaps Steele, as there are some fine prog metal tunes here that balance atmosphere and power but the plethora of vocalists dilutes the band’s identity. The musicianship and compositional skills are there to make a name for themselves if they can settle on just one frontman.